Header image credit: adapted from skyseeker. This template did not translate into the layout as shown. Any suggestion how I can get the double column -- or more importantly the top tabs and ability to create pages. 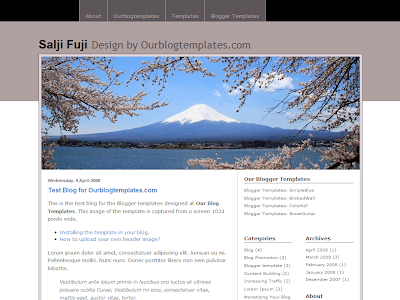 This is the template I am looking for my new blog. Thanks for sharing this.